It’s interesting to be a part of the continuing “growth” of the classic computer scene. And, perhaps it is just me, but it does appear the classic machines are seeing more interest now than since they were first placed on the market. It has been over 25 years, which is a common metric for “classic” status in other arenas (cars, coins, etc. ), so perhaps this is the new reality. Back in the day, I lived too far away from a metropolitan area that held computer shows, so I missed out on the thrill of those years. And, after passing into adulthood, I had only previously attended 1 show, around 1997, put on by a Commodore user group in Lansing, MI. While Maurice Randall showed off GeoFAX or some new GEOS app, another exhbitor showed off a way to control audio CDs from the 64, and everyone picked through the consignment table, I hawked printed copies of “Commodore Hacking”, an online magazine I was editing at the time. As I recall, I did not sell many, and for good reason. Why buy something you can dload online for free (true, the Internet was not as ubiquitous as today, but Compuserve, Delphi, GEnie, and others had copies, and the mag was in ASCII text, a mere few hundred K of data). 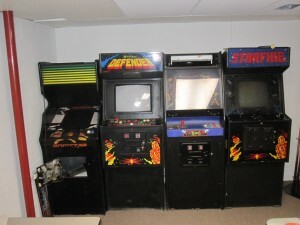 Yet, as I re-invested myself in these machines around 2004, I was invited to attend Commodore computer shows, including the World of Commodore 2004 in Toronto, ON, CA, LUCKI Expo 2005 near Louisville, KY, the C=4 (CCCC) Expo south of Cincinnati, OH, and SWRAP Expo 2005 in Chicago, IL. As a new attendee, I was surprised so many people remembered me from the Commodore Hacking and even earlier Commodore FAQ days. I also met luminaries like Jim Butterfield and Jeri Ellsworth. Sadly, it appears some of the shows were not to continue. LUCKI shut down first, as I recall, while SWRAP discontinued its show soon thereafter, and CCCC continued on for a few years and then folded when their “castle” venue closed its doors. I worried I had witnessed the end of the show scene, just as I was starting to enjoy the friendships and witness all of the great hardware and software projects. Luckily, World of Commodore continued on, while Jason Compton and a group of friends decided they needed to have a time each year to come together and enjoy friendship over Commodore computer discussions, and so the Emergency Chicagoland Commodore Convention (ECCC) came into being on the heels of SWRAP’s decision to forego another show. ECCC, in particular, was somewhat the “anti-show”. No table fees, no concrete organization, owing to the primary goal of just having a place for Commodore enthusiasts to hang out and enjoy company. But, all things change, and a few years back, Jason Timmons asked if other computing platforms could co-located with the ECCC show under the Vintage Computer Festival – Midwest (VCF-MW) banner. There was already a well established VCF-East show in New Jersey, and there had been previous attempts for a VCF-MW in Indianapolis, as I recall. West Lafayette. But, VCF-MW had withered, and so it came to Chicago. At first, VCF-MW was a small portion of the complete show, but each year, the VCF-MW contigent grew and brought more exhibits and attendees to the combined event. At other shows, I suspect the primary sponsors would have either disallowed sharing the event date and location, or the organizers would have grown significantly concerned about the changing dynamic of the show, but Jason and the initial contributors seemed unconcerned about such things, probably owing to the fact that the ECCC show was created to enable a meeting place for enthusiasts, not as a formal marketing effort or a club sponsored idea. I’m not sure a dual show idea would not have been as successful elsewhere, but it thrived in Chicago. For the last few years, VCF-MW has continued to grow, but there’s still a significant Commodore presence. While there’s value in having single-platform shows like World of Commodore, KansasFest, or CocoFEST!, such shows can be somewhat insular, as all of the attendees are already aligned with the platform. And, though one hopes we’ve all matured a bit, there’s some fun in crowing about platform features or enduring a bit of ribbing over platform weaknesses among friends who own competing systems. 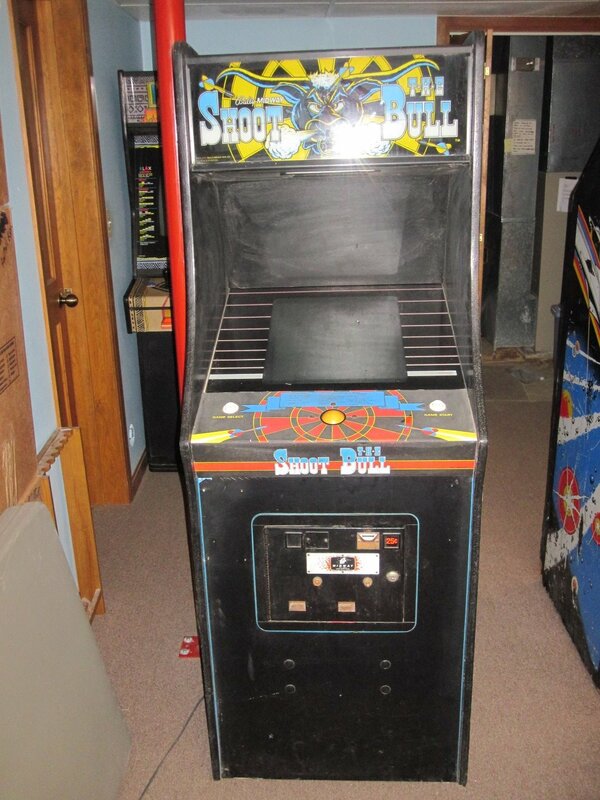 More importantly, there are some classic machines too obscure to command a full community, and shows like VCF allow those folks to show off these all-but-forgotten gems (or stinkers, but they are always interesting). Thus, my hat is off to those who organize the various shows; truly unsung heroes doing lots of work so lazy bums like myself can drive in, grab a room, shoot the breeze, sell a few things, pack up, and leave. And, thanks to those folks who take the time to document the events, via photos or video, or both. It’s nice to be able to look back and see how far we have come. Finally, thanks for Jason Timmons and Jason Compton, for ensuring VCF-MW/ECCC continues. I just returned from a 2102 mile roundtrip excursion to the Vintage Computer Festival – East 9.1 at InfoAge in Wall Township, NJ. Having been prevented from holding the show in 2013, the VCF-E organizers went all out for the 2014 show, supporting 2 exhibit halls and a separate speaker presentation tent. I camped out in the vendor hall with our products on display. Though this is the first VCF-E I have attended, others remarked that this was the largest Expo they have held. Thus, I am glad I was able to participate. Unlike the other shows I have attended, VCF-E is much more structured. Vendor tables are in their own room, the mornings are dedicated to speaker presentations and vendor sales, and the show floor does not open until the afternoon. Like many of the other more recent events, VCF-E is a 2-day event (Saturday and Sunday), and they even created a special VCF University event on the Friday before the main event. I didn’t specifically count, but I was told 26 different exhibits were available for viewing in the 2 (yes, two) exhibit halls. As you can see, I spruced up the vendor tables with some colorful tablecloths, and I brought a vintage CMD-era JiffyDOS wall poster (I purchased it from Click Here SW a few years back). I brought all of the main store items, though I left some of the more esoteric adapters and such behind as they rarely sell. Sales were not overwhleming, but were satisfactory, especially in light of the fact that most of the day’s action revolved around the “consignment” tables. I loved the consignment idea (VCF even accepts items for sale, with pricing information from the owners. They then handle the financial aspects and man the sales table, taking 15% of the sales value). One individual made over $1600 in sales through this solution. I even joined in the rush, picking up a TRS80 MC-10 and a Compaq luggable. Concerning exhibits, there were too many to mention. I’m not that much into the 60-80’s DEC HW, but it was well represented at the show. The early microcomputer options were on display, along with some early UNIX workstation options. Closer to my world, Jeff Brace and Dan Roganti borrowed a number of uIEC/SD and 64NIC+ devices to present their “Artillery Duel”-like multi-player C64 game. The graphics and such looked awesome, but they were plagued by code issues through the weekend. They kept the loaner items in hopes of better luck during a June exhibition. Elsewhere, Michau Pleban and Rob Clarke (An Australian Brit from Switzerland, no joke) were on hand to show off a Commodore 264, a 232, a 116, a Max Machine, and their new cartridge for it called “MultiMax”. Rob also tried to talk Bil Herd (on site over the weekend) into firing up the V364 Prototype board that Bil had delivered to Rob at the show. 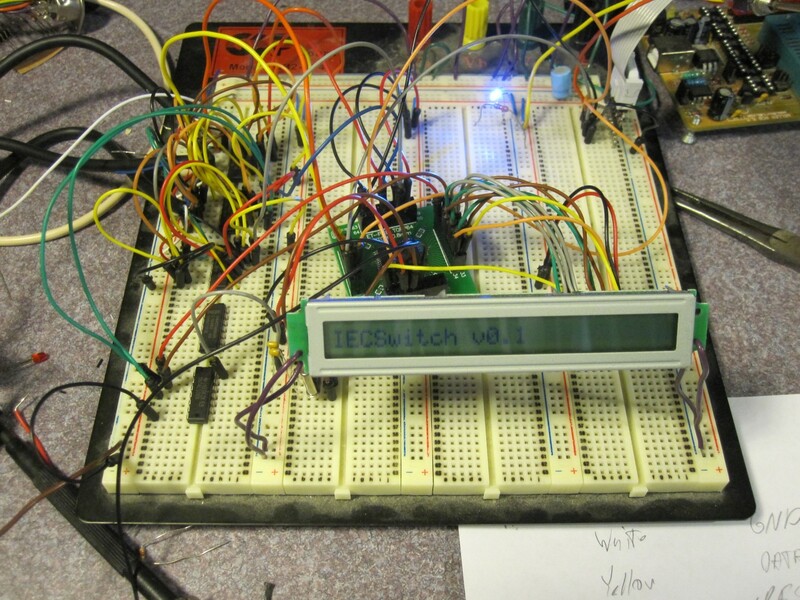 Rob talks more about the unit in his Youtube smoke test for the unit, but it was Bil’s dev board back in the day. 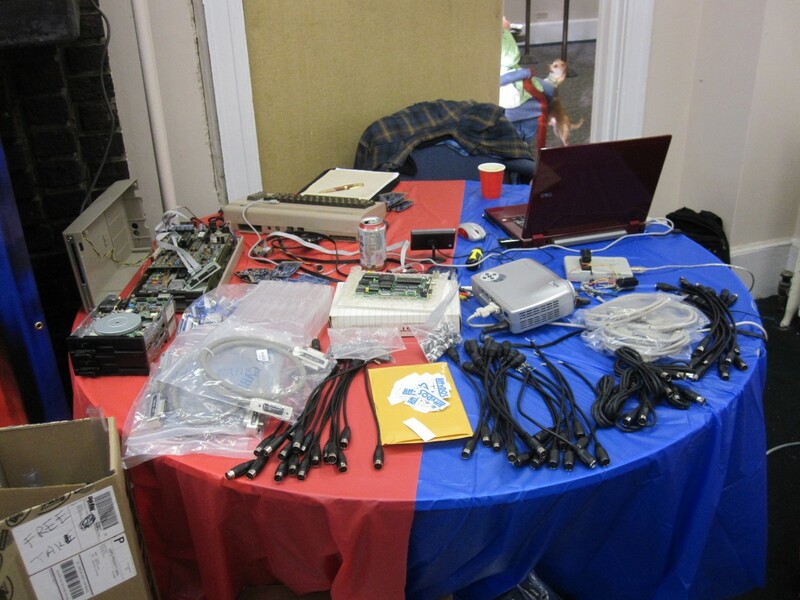 The ninth “annualish” Vintage Computer Festival East will be held April 4-6, 2014, at the InfoAge Science Center, in Wall, New Jersey. VCF East is a celebration of computer history from the 1940s-1980s. The schedule includes a hands-on exhibit hall, technical workshops, lectures, a marketplace, tours of the InfoAge museum complex, a dollar-per-pound book sale, prizes, more. This year’s show will be bigger than ever. New attractions include Friday’s “VCF East University” which is a full day of technical classes. Friday attendees can win an oscilloscope courtesy of Tektronix! The main show on Saturday-Sunday will have lectures/workshops and dozens of exhibits. Keynotes include former IBM archivist Paul Lasewicz and IEEE 802 LAN/MAN committee founder Maris Graube. Other lectures topics include software preservation, the history of Franklin Computer Corp., and many more, all scheduled for the morning. 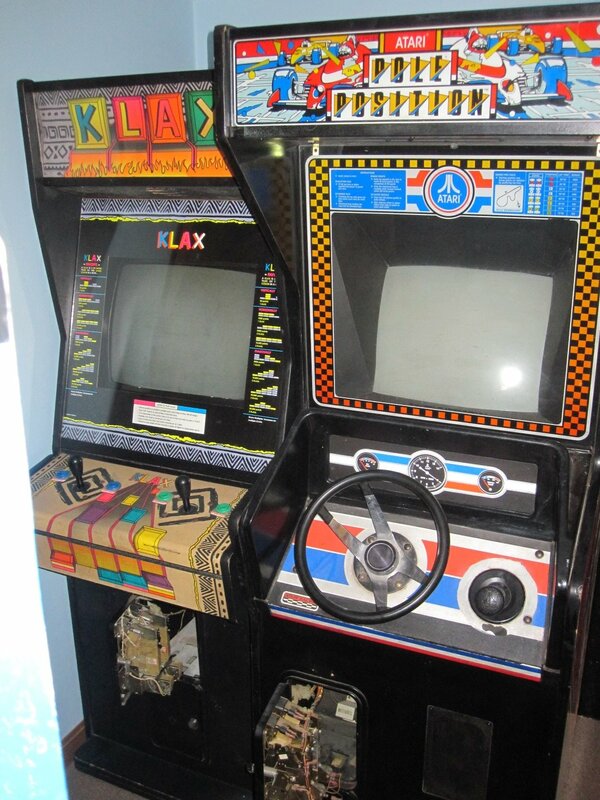 In the workshops you can learn hands-on vintage computer repair skills or even build a working replica of something exotic. This year there will be two exhibit halls instead of one. Exhibits open in the afternoon – imagine an antique car show, but instead of “no touching” signs, everyone has to take you for a ride! Registered exhibits so far cover everything from a real Apple 1 to the M.I.T.S. Altair to DEC minicomputers. In addition, the event’s main sponsor MARCH (Mid-Atlantic Retro Computing Hobbyists) will debut its UNIVAC 1219-B military mainframe computer, circa 1965. Tickets for VCF East University are just $20 and include a pizza lunch. Tickets for the main show are $15/day and $25/both days. Saturday/Sunday tickets are free for ages 17 and younger. A three-day adult admission is $40. Proceeds benefit MARCH. Official sponsors include the InfoAge Science Center, VintageTech, Tektronix, the Trenton Computer Festival, Eli’s Software Encyclopedia, and Vintage-computer.com. Archive.org, IBM, and the IEEE History Center are providing informal assistance. Full details are online at http://www.vintage.org/2014/east/ and http://www.facebook.com/vcfeast. Contact: Evan Koblentz (President, MARCH; VCF East Producer): evan@snarc.net / (646) 546.9999 (646) 546.9999 …. thank you and happy computing! I can’t claim a significant amount of creativity, but over the past few years, two folks have dropped off “VIC-Switch”-like devices in hopes that I could reverse engineer them. THese are devices used back in the day (typically in schools) to share a single disk drive or disk and printer with up to 8 computers. I long ago drew up schematics of the existing designs, but wanted to freshen up the solution instead of just creating a replica. Well, as it goes, finding time takes time, but I decided to try my hand at a new design, and here is the current result. It’s not much at present, though I can enable/disable IEC ports, and “hold” the 64 from timing out the bus request. Yes, that’s an LCD there. I found a great price on them, and I think that’ll be in the final design. It’s only marginally cheaper than a 7 segment LED or two, and much more interactive then a few LEDs. It’s been awhile since I developed firmware, and this gave me a chance to clean the cobwebs off my programming skills. In the “another project that has been long in gestation” category comes a niche offering for those with Commodore SuperPET machines and a desire to run the OS/9 operating system. OS/9, a multi-tasking, multiuser, realtime OS with UNIX-like qualities, was popular in the 1980’s and ran on machines with the Motorola 6809. In addition to the small TRS80 Color Computer, the SuperPET includes a 6809, but the standard memory map of the SuperPET does not lend itself to OS/9 operation. That is where this little board comes in. Installation does not affect normal SuperPET operation, but extends it with OS/9 compatibility. The SuperPET, a variant of the Commodore 8032 that included additional boards designed by the University of Waterloo, did not sell well, as far as I can tell, and limited (though not ultra-rare) numbers exist. Still, for those lucky enough to own one, OS/9 can truly turn the SP9000 (another name for the SuperPET) into the MicroMainFrame (another name for the SuperPET). The project has been gestating since 2008 in some fashion. 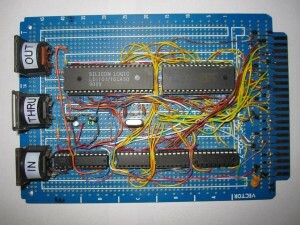 Late that year, TPUG member Golan Klinger asked if I could reproduce the SuperPET MMU board, which TPUG members created in 1985. for a possible club fundraising activity. I dutifully created a new layout of the design, and awaited next steps. Around the same time, Mike Naberezny (of 6502.org fame) started discussing the board, and we eventually compared notes. Over time, it became evident that TPUG was not going to pursue offering the unit for sale, and Mike performed a significant amount of legwork obtaining permission to replicate the software from Radisys (who purchased the OS/9 rights) and permission from TPUG leadership to offer the PCB. Thus, the majority of credit for this offering goes to Mike, who has a web site devoted to this impressive little board. I’ll put one in due time, but it won’t provide any more detail than Mike’s. 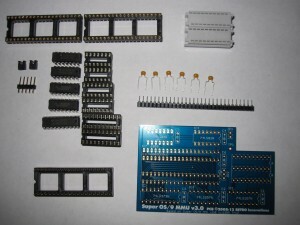 I should also give a shout out to Steve Gray, who helped with information and PCB scans. Currently, due to the low volumes, the unit will be available in kit form only for approximately $30.00. Thus, break out your soldering iron and a weekend of time to add this capability to your SuperPET! Regrettably, I found out today that the upcoming C4 EXPO (which was going to be a all encompassing retro convention) has been cancelled for 2013. We last attending C4 EXPO in 2011 when it was held in The Drawbridge Inn in KY. In addition to the reasons given on the web site, I think the combination of the venue closure and the fact that the event was being managed by a single person contributed to the cancellation. With the cancellation, CommVEX appears to be the next Commodore conference event. 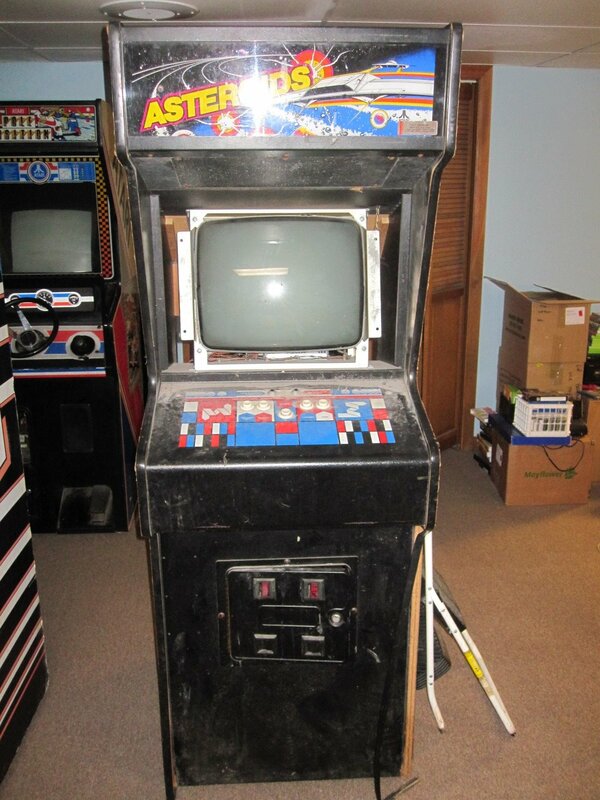 I’m not sure if RETRO Innovations can make the trip, but I am considering it. It would be nice to meet some of the west coast and southwest enthusiasts. Sometimes, a product gets lost on the way to final production. 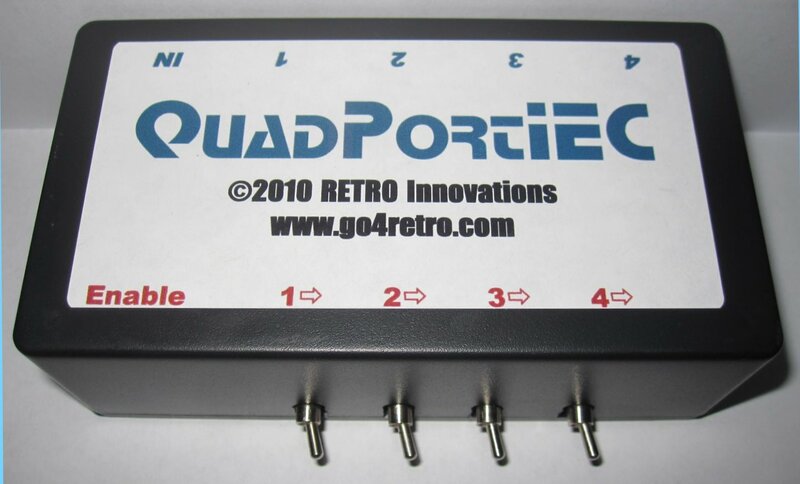 Our QuadPortIEC 4 port IEC bus hub is one such product. After announcing the design here and showing off completed boards here, we focused our attention on the recently introduced ZoomFloppy and then the EasyFlash 3. Finally, we sent the boards off for assembly, but still felt a bare board with wires would simply not work as a product. 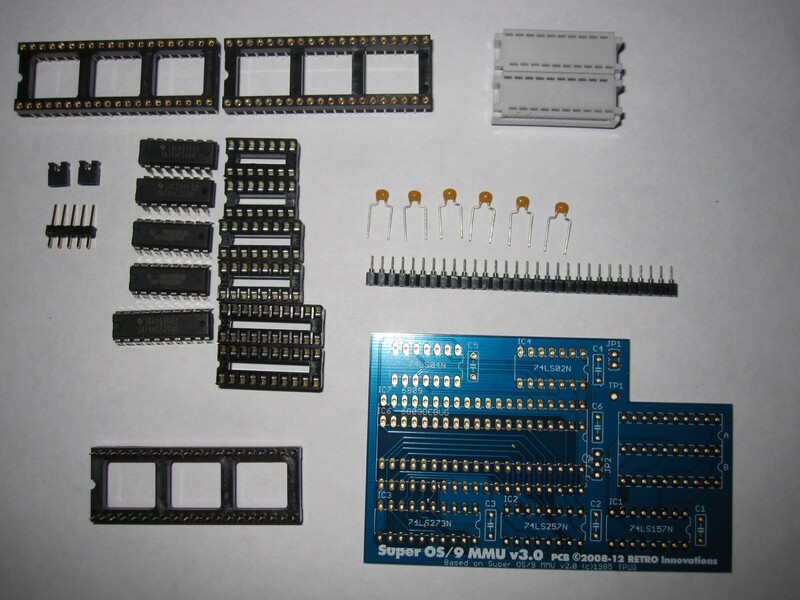 Finally, about a year or so ago, Commodore enthusiast Jim Peters in Iowa requested some bare PCBs and assembled units for personal use, which we supplied. He took it upon himself to machine finished cases for the units, with fabulous results. Thus, we hired him to supply finished cases for the remaining stock, and now can offer them in the store. 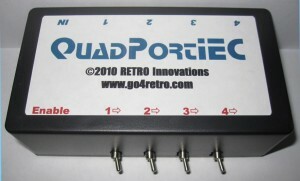 The design has not changed; QuadPortIEC is nothing more than a “dumb” IEC hub. ATN switches on the front for each port allow “silencing” of each bus segment, but that’s the only functionality exposed. Still, we are glad to finally put the units in the store, where they will sell for USD$30.00. 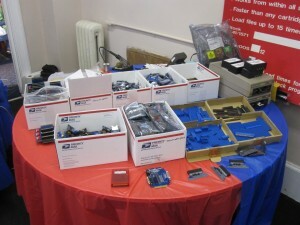 Since the units fill out a small flat rate box, we may need to adjust shipping charges for buyers.